Print and online publications are always looking for thoughtful submissions from aspiring writers at all levels. Consider writing an article on a topic that’s relevant to the admin field and on which you believe you have a unique perspective. Executive Secretary magazine is a very popular, global admin-specific publication and it’s a great place to submit your first inquiry. In the past few years, more and more Admin Conferences have popped up all over the world. While some of the larger events tend to rely on professional speakers and trainers, the smaller ones just don’t have the budget. They don’t care if you’re a “professional” public speaker, as long as you have a powerful message that can help admins. The International Association for Administrative Professionals is the leading association for admins. They specialize in offering educational and networking opportunities, and they’re always looking for passionate professionals to help organize local events. If you’re not yet involved, the first step is to join and get to know the other members in your area. Once you’ve participated a bit, you’ll have a better feel for what kind of assistance/leadership the group needs. There’s no reason you have to network within a pre-established group or association—you can always create your own admin networking group. Collaborate with your fellow admins at your organization or others in your area to determine what kind of event(s) would work best. You can then promote your group on social media, and you may even want to use a platform like meetup.com to cast a wider net. Take it from me—starting a blog is very easy and it can be a powerful tool in establishing yourself as an Admin Leader. You don’t have to be a phenomenal writer. You just need to have something important to say. If you’re delivering value to your readers, they’ll share your work with others. Before you know it, your words may impact the lives of hundreds, thousands, even millions of admins! Set up a free blog on WordPress.com and you’ll be ready to get started in a matter of minutes. There’s no denying that social media is a fantastic way to connect with people from around the world—and it’s not just for personal use. You can also leverage social media professionally. Consider sharing your tips and best practices for admin success on Facebook, Twitter, LinkedIn, and beyond. You can also participate in admin-specific groups on these platforms. For example, LinkedIn has quite a few very active admin groups where people post about challenges they’re currently facing and group members jump in to offer guidance and advice. What a great way to be of service to your community and also develop a powerful reputation as a problem-solver and leader! 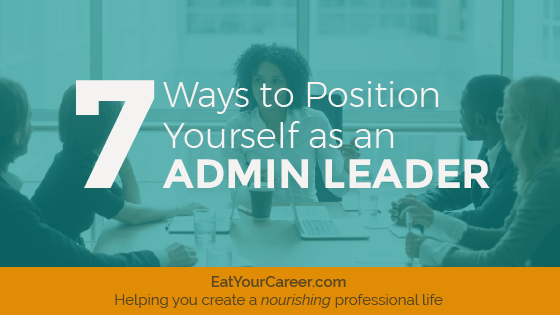 The best way to be an Admin Leader is within your current organization. Share your administrative expertise with the rest of your admin team by being a “go to” resource. Share your knowledge freely with others; help train them when needed and organize collaborative team events to build relationships. The more you provide support to others, the more they will see you as a natural leader for the group. Finally, it’s worthwhile noting that leadership (in my mind) is all about integrity. You can’t be an effective Admin Leader if you don’t practice what you preach. Make sure that you truly believe in the messages you are putting out there. Otherwise, your words will be hollow. People want to follow leaders who walk their talk. When your words and your actions don’t align, people will quickly lose faith in you—and that’s the last thing any leader wants. 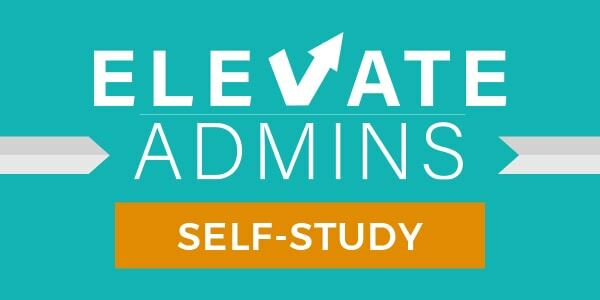 If you’re interested in improving your skills, enhancing your performance and delivering more value as an administrative professional, check out the ELEVATE Admins Self-Study program. 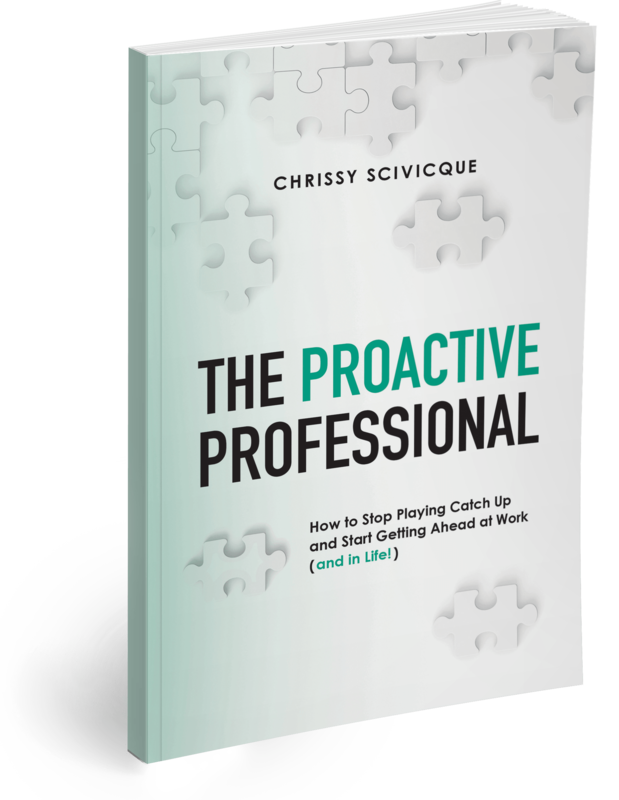 This comprehensive, self-paced training program educates and empowers admins like nothing else on the market. 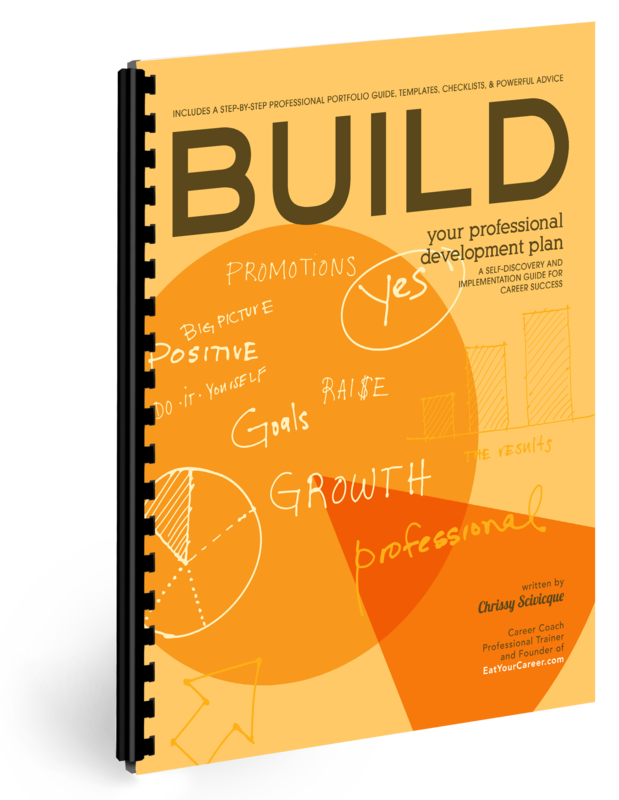 Sign up today and take your admin career to the next level.